We are yet to travel from Bali to Lombok but it’s high on our list of places to visit in Indonesia. 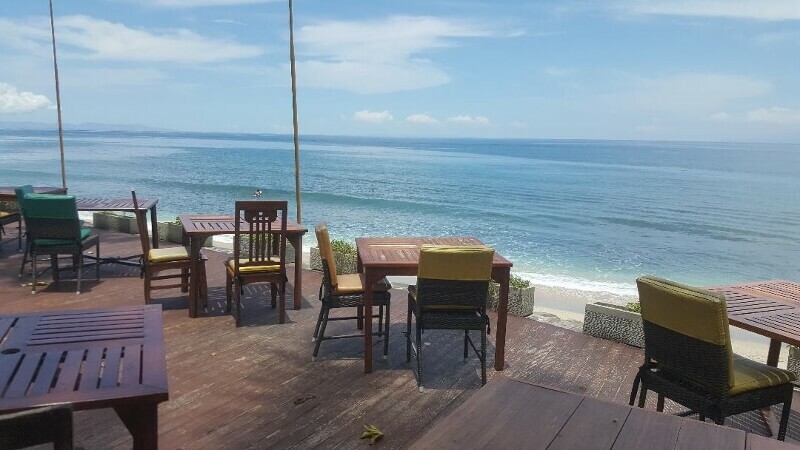 Finding the best place to stay in Lombok, Indonesia looks like a lot of fun to research and I am very grateful to my cousin Ali from Get Your Roam On for providing us with this review of her recent Lombok family holiday. 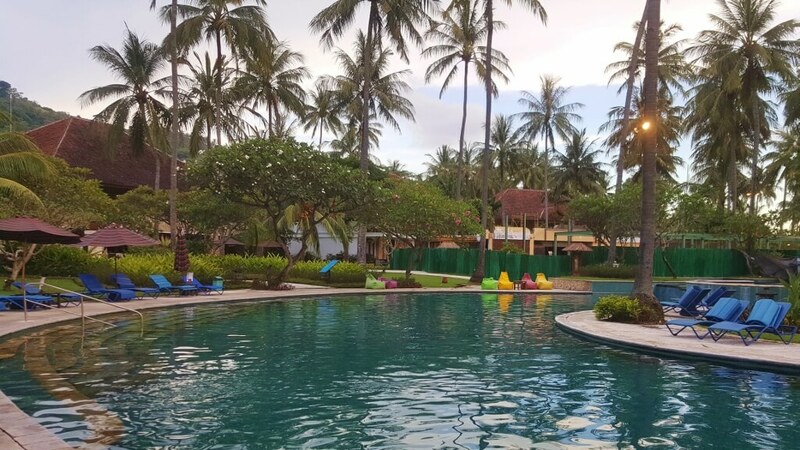 So if you are considering where to stay in Lombok with family, check out Ali’s fantastic, honest review of Holiday Resort Lombok. Ahhh, traveling with kids!! 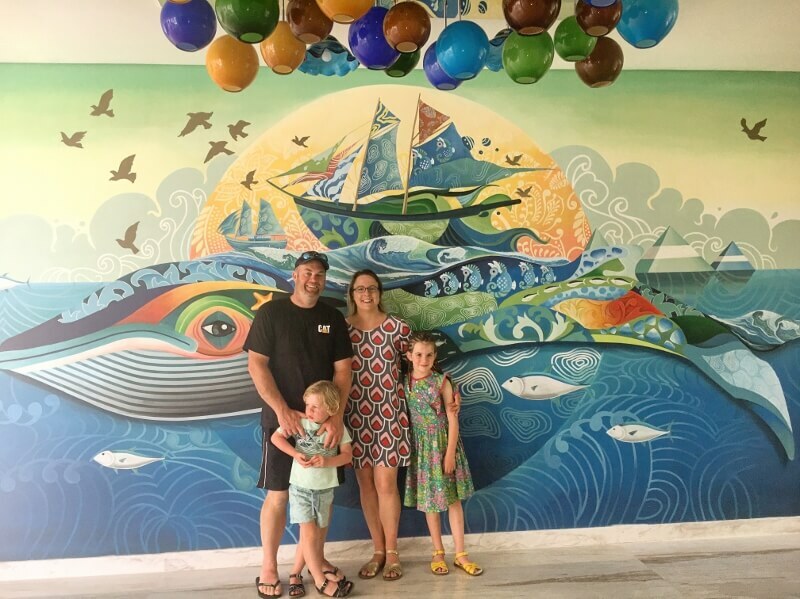 We recently returned from a wonderful holiday to Indonesia where I was a little ambitious and decided that we would travel from Melbourne to Lombok in one day with two young children aged ten months and four years. Our schedule involved a five-and-a-half-hour flight from Melbourne to Denpasar, three-hour airport transit, one-hour flight from Denpasar to Lombok, no-show transfer and one-and-a-half-hour drive from the airport to the Holiday Resort Lombok. This epic journey subsequently resulted in an unhappy husband and two very tanky (tired and cranky) children. 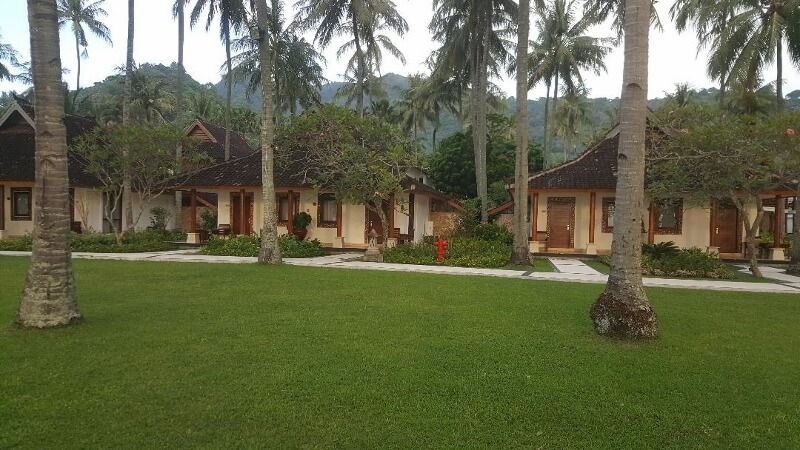 After extensive research of Lombok family accommodation options, I decided that we would spend six relaxing nights at the Holiday Resort Lombok. I’ll admit that I did fail to investigate the travel distance from the airport to the resort so upon arrival, we were all feeling exhausted and fairly miserable. That was until we walked into the resort lobby. It was incredible and, after a chaotic day and the Lombok traffic, very peaceful. The gorgeous view of the sunset over the ocean was spectacular and I was immediately filled with relief, hope and excitement. Our holiday was certainly on the improve when we were escorted to our beach bungalow. I had considered booking the two-bedroom apartment, however was swayed by the photos and description of the beach bungalows. I certainly wasn’t disappointed; our room was lovely with an incredible outdoor bathroom. The room was large enough for the four of us and we still had plenty of room to sit and move around with a rollaway bed and portable baby cot. The two-bedroom apartments are located directly across the road from the main resort which isn’t a problem as security staff are present to assist people to cross the busy road. I did manage to sneak into the beach garden suite after some guests had checked out and highly recommend this room for families as it has two separate bedrooms, a large lounge and kitchen area and a lovely private pool. By the time we arrived at the resort, the girls were hangry and the staff member who escorted us to our room mentioned that the resort had 24-hour room service…excellent! We ordered a vegetable pizza which, whilst the girls were too tired to enjoy, Matty and I devoured. Of course, it was also time for Matty to experience his first Bintang, the local Balinese beer, and room service promptly delivered a couple of bottles for us to keep in the mini fridge in our room. Matty also quickly discovered that happy hour was each day between 9pm and 10pm so made sure that he stocked up on half price beer for the following day. We were incredibly lucky to enjoy some really amazing food during our stay at the Holiday Resort Lombok. The buffet breakfast was extensive and included both western and Indonesian food. My hubby could not get his head around eating noodles and rice for breakfast, however I encouraged him to try it. As they say…when in Rome. We noticed that our youngest daughter was struggling to eat when we dined at the restaurants, which were open-air, as the weather was extremely hot and humid. Furthermore, both girls were exhausted by the end of day, so we decided that we would eat breakfast in our room, lunch by the pool and then order room service for dinner. After the girls had eaten and gone to bed, Matty and I would order dinner for ourselves and sit outside on our terrace which was lovely. We also took this opportunity to tag team nightly swims under the stars, it was amazing. We really enjoyed the Indonesian food, particularly the nasi goreng and traditional satay dish, and managed to make it out for dinner to the Gecko Steak Bar at the resort on the night of my birthday where we enjoyed some Aussie steak. When researching accommodation options for our family holiday to Lombok with kids, my main prerequisites involved a beachfront location, nice gardens and mostly importantly a great pool, as this was where I knew we’d be spending most of our time. The Holiday Resort Lombok met all these requirements, however I was initially disappointed to discover that the swim-up pool bar was closed for renovations during our stay. It was my full intention to sit at the pool bar on my birthday and consume cocktails all day although I was still able to sit in the pool and drink my way through the cocktail list, so the day was complete! My hubby is a gardener and he certainly appreciated the immaculate gardens and landscaping throughout the resort. Our beach bungalow was located close to the ocean and the views were stunning, especially the sunsets. I had expected that we would swim in the beach at the resort, however in the afternoon it became quite rough and after getting slammed whilst trying to snorkel, I decided to stick to the pool. I also saw some clear jellyfish washed up on the shore and when I questioned a local, I believe he informed me that they were not an issue but the nasty blue ones out further in the water were! The beach at the Holiday Resort Lombok was lovely to walk along and collect shells and washed up coral, however I believe that the best beaches in Lombok are located down south of the island in Kuta Lombok, particularly Tanjung Aan Beach. 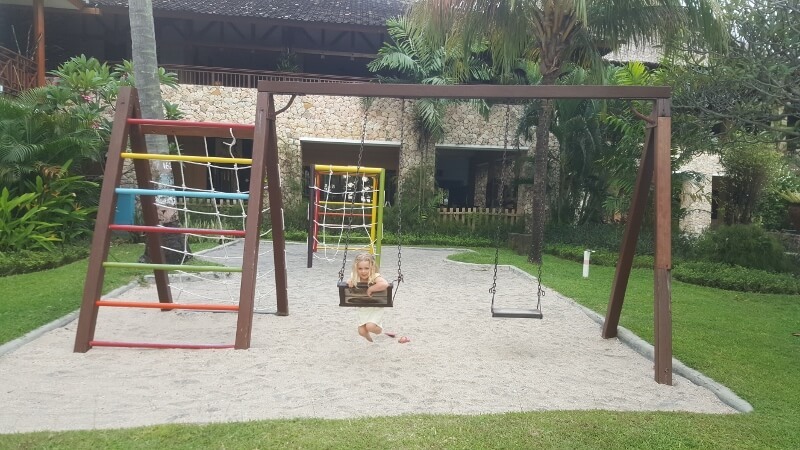 I can confidentially say that the whole family thoroughly enjoyed our stay at the Holiday Resort Lombok. The staff made us feel incredible welcome and spoilt and were besotted with the girls. I even had a birthday cake delivered to our room at 8.30am on the morning of my birthday with a staff member singing happy birthday. We look forward to returning again, hopefully soon! 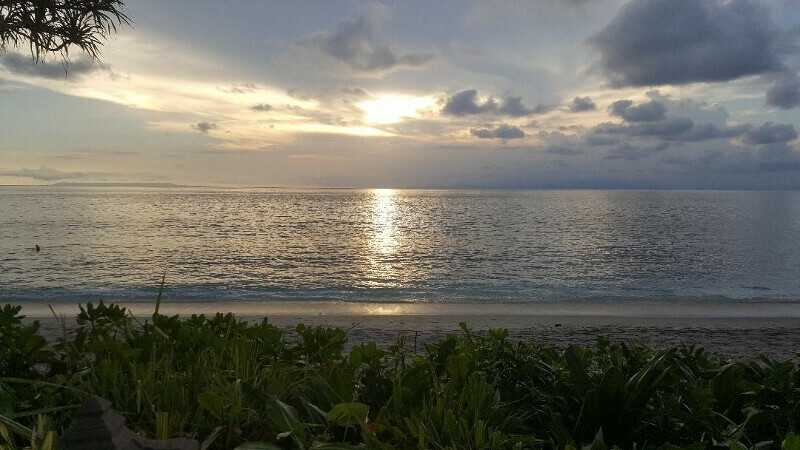 Thanks once again to Ali for sharing her thoughts on traveling to Lombok with children. If you would like to contact us, you can find us regularly in our closed Facebook group or over on Instagram. Disclaimer: This post contains affiliate links and if you click on these links and purchase any products we will receive a small commission at no extra cost to you. 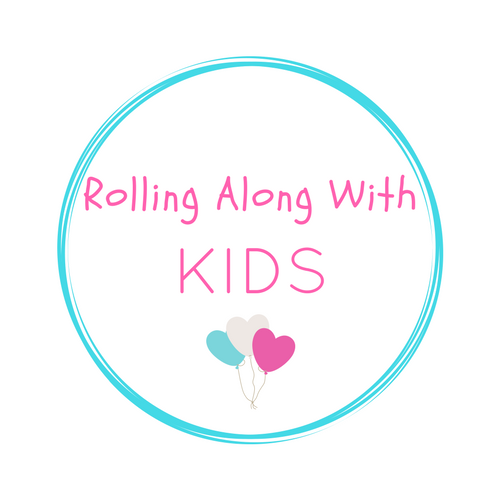 This helps to keep our blog going and we can continue to provide you with lots of new information on travel to Bali with kids. Thanks for your support.